Description: The awesome Classic Sonic & Knuckles game. Play through knuckles levels and world. 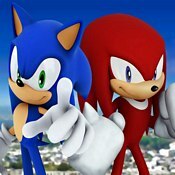 Choose between Sonic or Knuckles as playable characters. Knuckles is the better one to use for these levels cause he can glide and climb.